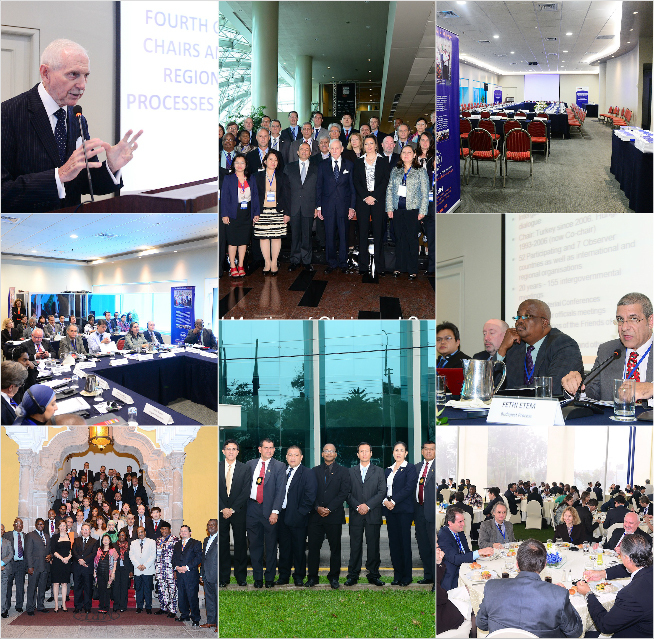 The Fourth Global Meeting of Chairs and Secretariats of Regional Consultative Processes on Migration (RCPs) was held in Lima, Republic of Peru, on 22 and 23 May 2013. Hosted by the Government of Peru and organized in collaboration with the International Organization for Migration (IOM), the meeting sought to facilitate the sharing of experiences and the exchange of views on the value and benefits of cooperation and dialogue on migration, in particular with respect to how global migration challenges are being addressed at the regional level. Under the broad theme of Defining the Place of RCPs in a Changing International Migration Landscape, the meeting invited RCPs to collectively review key developments on the global migration landscape and to reflect on the role they are playing in addressing contemporary migration challenges. Taking place against the backdrop of the 2013 High-Level Dialogue on International Migration and Development (HLD), the meeting provided a platform for reflection on potential synergies with other processes and fora that deal with migration at the global and inter-regional level. To this end, a session was dedicated to the exchange of views on planned actions in the lead up to the HLD, and to reflection on possible outcomes. Participants will be invited to introduce each other -- a seating arrangement that allows participants to be seated next to participants from different RCPs/ regions will be adopted. GFMD: What has it achieved and where is it going? United Nations High-level Dialogue on Migration and Development (HLD).